Lowe’s, a U.S.-based chain of retail home improvement stores, is introducing a robotic shopping assistant into its Orchard Supply Hardware store in San Jose, California. The robot, called OSHbot, will greet customers and assist customers in finding products. In addition, the robot has one large screen on the front and one on the back. The screens are used for video conferences with a store expert and display advertising about store products. 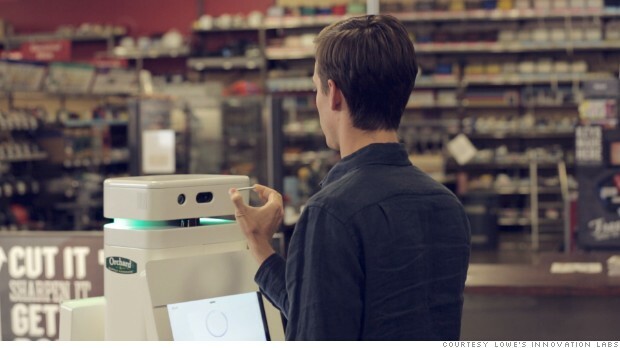 Eventually, the robot may have the ability to create parts customers want with a 3-D printer. The robot is able to speak both English and Spanish. It can navigate the store using the same technology found in Google’s driverless cars. Assume that a “typical” customer service associate at Lowe’s is paid hourly and works between 10 – 30 hours per week. What type of cost (fixed, variable, or mixed) is represented by the wages and benefits paid to a customer service associate at Lowe’s? Justify your answer. What type of cost (fixed, variable, or mixed) is cost of the OSHbot at Lowe’s? Explain. Assume that each OSHbot can replace four customer service associates at the store. How does the change in cost structure at the store impact the store’s breakeven point? Again assume that each OSHbot can replace four customer service associates at the store. How will OSHbot impact the store’s operating leverage factor? What internal controls might have prevented a former Smucker employee from stealing $4.1 million over 16 years? How does the change in selling price impact the break even point for Amazon’s Fire Phone?